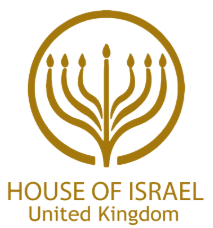 House Of Israel United Kingdom (HOI United Kingdom), is A Messianic, Hebrew, Hebraic Roots, Messianic Discipleship Training, and Leadership Development Center. As a Torah-Teaching, Spirit-Filled, New Covenant Ministry, we actively teach the Hebrew Roots of the Christian faith. The uniqueness of House of Israel is its blend of living under Grace, Understanding the Laws of YeHoVaH. (GOD) and its balanced approach to Operating in the Gifts of the Holy Spirit. House Of Israel United Kingdom invites you to join us in Worship and Fellowship at 1pm every Saturday. House of Israel United Kingdom is located at Lascar Wharf Community Centre, 19 Parnham Street, London E14 7FN. We look forward to worshipping and serving together with You in our Father’s Kingdom. This Ministry is designed with you in mind. You and your family are Welcomed Here! The congregation leader’s name is Marcus Da Costa. For more information about HOI United Kingdom you can contact Marcus using the e-mail address hoilondon@yahoo.co.uk. Marcus Da Costa, minister and leader is an anointed teacher and preacher of House of Israel United Kingdom that teaches the true gospel of the kingdom without the traditions of men. Marcus’s ministry through House of Israel United Kingdom has reached the four corners of the world encouraging, preparing and equipping people to answer the call of YeHoVaH. Marcus’s goal through ministry is to help liberate the body and minds of those held captive to mindsets, sin and infirmities through the power of the Holy Spirit in the wonderful name of Yeshua. To help plant and build worldwide communities of believers, equipping and strengthening the saints for the work of ministry.